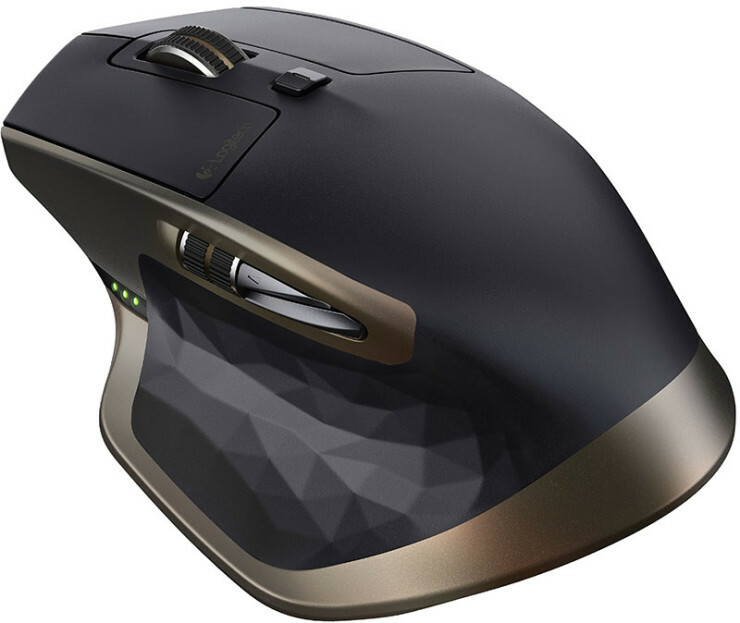 Popular Wireless Mouse: Logitech MX Master | OhGizmo! Are you sick and tired of untangling your wired computer mouse? Then you should consider upgrading to a modern wireless laser mouse. The Logitech MX Master Wireless Laser Mouse is specifically designed to provide the ultimate experience for users who want to get more done. Easy switch technology allows the mouse to connect up to as many as 3 Windows or Mac computers. Switch between computers easily with the button located on the bottom of the mouse. The mouse has a rechargeable battery that lasts up to 40 days on a single charge. Connect the mouse to the Logitech Unifying receiver or via Bluetooth Smart wireless technology. The tiny USB receiver can connect up to 6 compatible Unifying devices such as a wireless keyboard. Logitech’s MX Master Wireless Laser Mouse is perfectly crafted and features a hand sculpted shape. It is contoured to help support your hand and wrist in their natural position. This mouse has excellent motion control and a smooth fluid experience, due to its well positioned buttons. MX Master’s mouse has a click to click mode that is ideal for precise, smooth, ratcheting motion, and automatically responds to your touch when shifting between scrolling modes. The wheel spins freely allowing you to scroll quickly through long documents and web pages. The unique thumb-wheel easily adds horizontal navigation and advanced gestures. Install Logitech options to further the thumbwheel capabilities. Be able to navigate tabbed content and invert scrolling direction. Should you have any problems, questions, concerns or need help with connecting to your devices, don’t hesitate to contact a Los Angeles IT Support company or a local firm to quickly and efficiently solve the issues. With a price of only $99.99 the Logitech MX Master Wireless Laser Mouse is a bargain considering the many modern, technological features and options that it offers. In my opinion Logitech makes great products, but they fall short when it comes to Mac and providing updated drivers. I have a performance MX mouse which I love the feel of but alas Logitech has not come up with drivers that work with the latest operating system. OSX 10.11 is out of Beta and the only answer I get is that the receiver has to be plugged into the rear of the iMac, which by the way never had to be. It also says keep away from screens, and power supplies. 1. iMac is essentially a screen and the power supply is to the right of the USB ports. They don’t realize that in real life computing the drives take the USB ports and devices go into high powered USB 3.0 hubs. I have had at least five different Logitech Mice and keyboards and never had a problem until 10.11. I bought a $7.00 mouse made in China and have it’s receiver plugged into the hub and the mouse works. Also the receiver allows my Logitech Solar keyboard to work while plugged into the hub so why not the mouse. I tried different iMacs and Mac Mini’s and all the same problem. Logitech is doing a disservice by not properly supporting Mac and we here have decided to replace Logitech with another brand if they don’t get their act together. I love the product but hate the support! I don’t know if anyone else here is having this problem, but their boards and others are filled with the same complaint. You would think that while Apple is gaining ground with purchases a company like Logitech would be aggressively trying to support the platform, but no, what business sense this makes I can’t spend the time thinking about it. Any time it takes to install an OS upgrade the installation of a USB mouse to click through the Logitech Unifying software to get the mouse to work is just wasted work time. Now that I have vented, I feel no better. The problem according to Logitech is that the MX must be plugged into the iMac directly not into a hub as before OSX 10.11. I use my USB for my drives and one for my hubs, so for me this change has screwed things up. When a company as big as Logitech can’t get a mouse to work in a hub and a mouse from China which was $7.00 works fine something is wrong. Also I have Microsoft Mouse and keyboard on another iMac working fine from a hub. Also the Logitech Solar keyboard for Mac works fine with the unifying receiver in the hub so why not the mouse? Odd. I have my dongle plugged into a USB hub with my Mac Pro. No issues. You can use bluetooth instead. Yes with the MX you can use Bluetooth, but not with the Performance MX. I wish I could use Bluetooth. The MX Mouse in the article is real nice, except the scroll wheel and the non user replaceable battery. I bought the Logitech DiNovo rechargeable keyboard and after the warranty was up by 6 months the battery went dead and the user can’t replace the battery. Logitech refused to do anything since it was out of warranty. About six months later after I disposed of the keyboard a private company came out with a battery kit and instructions on how to change it. My loss almost $100.00 down the drain. That is why I love the performance MX as it uses replaceable rechargeable batteries. I truly think tech today is built with a way that it fails in a short time after warranty so we suckers are forced to replace the hardware.